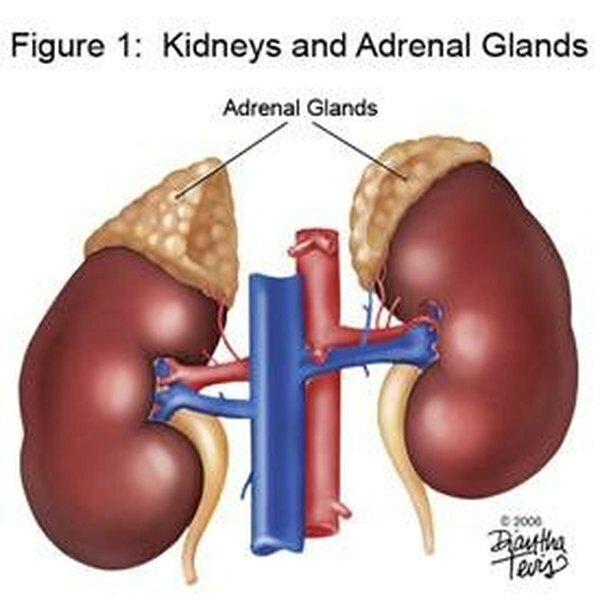 Cortisol is a steroid that is produced by the adrenal cortex, which is a tiny organ located just above the kidneys. Cortisol is in a class of steroids called glucocorticoids, and it controls the levels of glycogen and glucose in the bloodstream. Cortisol works on the liver by instructing it to synthesize amino acids and fatty acids from storage to release glucose and glycogen. High levels of cortisol hormones are released during stress and other systemic conditions. Cortisol levels can also indicate how well the pituitary gland is functioning since it's released in response to the pituitary hormone ACTH. Cortisol tests are accomplished by taking blood from the patient intravenously. For small children, the test is performed with a lancet and a small pipette. Cortisol levels rise and fall throughout the day, so the time of day the test is taken is an important aspect when determining results. Cortisol tests are taken early in the morning to set a standard for the laboratory results. For instance, normal levels at 8 a.m. for a patient are 6 to 23 mcg/dL (micrograms per deciliter). High levels are experienced early in the morning, and cortisol levels begin to taper off as the day continues. Certain physical and mental conditions affect cortisol levels. There has been a link between stress levels and the levels of cortisol in the blood because stress stimulates the pituitary to release ACTH. Additionally, certain medications affect levels of cortisol. Women who take estrogen or birth control pills are expected to have higher cortisol test results. Conversely, drugs such as androgens and phenytoin decrease cortisol levels. High levels of cortisol are an indication of several conditions in the body. They can be the direct result of certain medications, which can be changed to help reduce cortisol. High cortisol also indicates other conditions such as adrenal tumors, Cushing's syndrome, and ectopic ACTH-producing tumors. Like high levels, low levels of cortisol can also indicate abnormalities. Addison's disease is one cause of low cortisol levels. Because cortisol is dependent on the release of ACTH from the pituitary gland, low test levels can also indicate an underactive pituitary. Hypopituitarism can also lead to other conditions since the pituitary is responsible for several hormonal levels. Symptoms are related to high or low levels of cortisol. Uncontrolled aggression is common in people with low levels of cortisol, particularly children. High levels are most commonly associated with Cushing's syndrome. Cushing's patients are normally obese with little to no change in their weight even with controlled diets and nutrition. They also bruise easily and experience severe fatigue and muscle weakness. Does Omega-3 Lower Your Cortisol?